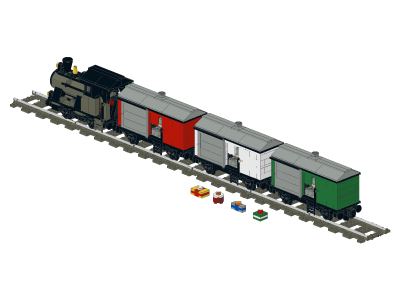 Small steam engine with 3 wagons and some gifts. Consists of LB00, LB61, LB64 and LB60. Total length about 65 cm / 21.7 inch. Choose for the 3 wagons out of 24 different brands of decals for the 2 sliding doors and the 12 barrels on pallets inside. Extra decals to use on your own models. To be used on 9V track. 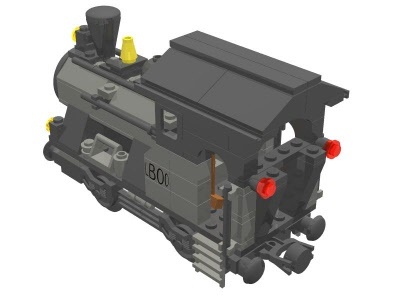 Tracks not included.